We have a wide range of tours in Prague and Czech Republic, we have something to suit all tastes. Short informative City Tours in the capital or longer tours covering a host of famous sights in Prague. Or nice relaxing River Cruises along the Vltava river with lunch or dinner with live music. Or perhaps experience our Folklore Evening with dinner and dance in a beautiful family restaurant on the edge of Prague, or step back in time in the Medieval Tavern in the center of Prague. Another option are our tours away from Prague, normally lasting a full day. We visit many beautiful UNESCO towns in the Czech Republic such as Kutna Hora with the near bye Sedlec Ossuary, a Church adorned with human skeletons. Try Cesky Krumlov in the South Bohemia region of the Czech Republic and Karlovy Vary and more. Booking is easy, for a firm price and details of availability just fill in the BOOKING ENQUIRY FORM at the end of each offer and we will reply as quick as possible to your request. We provide short Prague sightseeing tours for those who would just like a brief introduction to Prague. Also relaxing River cruises with and without food for lunch or dinner and also with live music. We also include the Jewish Quarter and even a Museum from the Communist era in the former Czechoslovakia. Take a step back in time to the dark days under the rule from the former Soviet Union. 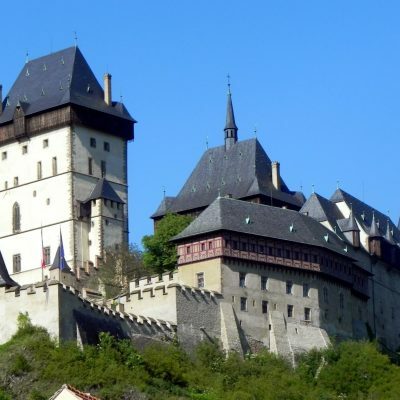 These Czech Republic tours include preserved Castles and beautiful historical towns with some situated not far from Prague. We also include an English speaking fully qualified guide. It is also possible to order a guide speaking other main languages as long as it is specified beforehand. We can arrange totally exclusive private tours if requested ideal for bigger groups or company outings. A romantic trip to Prague, let us arrange everything for you and your partner. From the airport your private driver in either a private taxi or one of the luxury limousines. The chauffeur will take you to one of our fine Hotels especially selected for a romantic feel and setting. We can then tailor make your weekend to suit your dreams. A romantic river cruise perhaps as the sun sets or an evening candle lit dinner with the Prague Castle view. The main holidays in Prague in the capital city and the Czech Republic are listed here. You may wish to visit this beautiful city during one of these times. 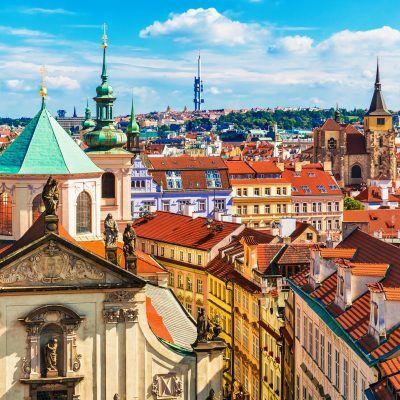 Prague and the Czech Republic can offer something for every holiday season. Should it be Christmas and New Year when the snow covered cobble stone streets transform to a beautiful winter scene. Or Spring/Easter in Prague when the tree lined streets are in full bloom.